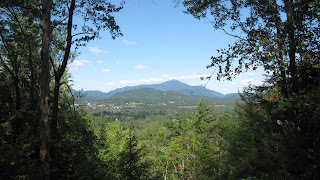 View of Whiteface Mountain and the Village of Lake Placid, from the trails at Henry's Woods. Today has been an iconic Adirondack rainy day, perfectly suited to indoor endeavors. I am honestly happy to see today’s steady rain. The rain is good for my blog, not just the late summer flowers. 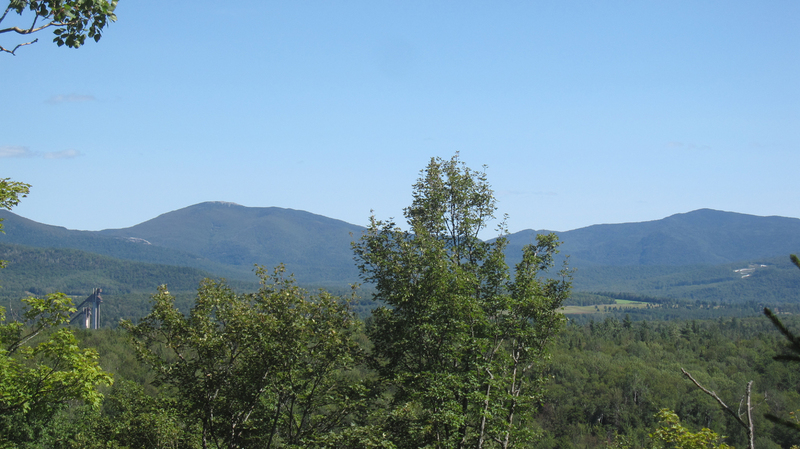 Because I have enjoyed a splendid series of Perfect Adirondack Days (PADs) lately I have obviously neglected my duties to the Adirondack Lifestyle blog. My guess is however, if you are reading these words, then you understand how that might happen. Weather conditions have been so perfect in the Adirondacks lately - the recent PAD run – that I had to get outside as much as possible. In addition to being a good time to build a house and a small business, late summer in the Adirondacks is a great time for trail running. 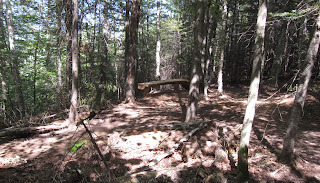 Speaking of which, here is a guided trail run from my current favorite spot just outside of the Village of Lake Placid, New York, at Henry’s Woods, where I enjoyed a couple of those Perfect Adirondack Days last week. Maple Bench Junction is located at the intersection of three trails recently added, along with the benches, to Henry's Woods Community Preserve. Henry’s Woods Community Preserve is a relatively new trail system in town, inspired by and named after one of Lake Placid’s greatest benefactors, Henry Uihlein. Henry’s Woods, a 212-acre parcel of land accessed from Bear Cub Lane boasts an original 2.5-mile loop and newly added numerous steep and short loops that wind through the woods behind the Uihlein Mercy Center. The trail system was designed and engineered by a famous North Country Skier: Tony Goodwin, of Keene. Goodwin is the director of the Adirondack Ski Touring Council and the Adirondack Trail Improvement Society. 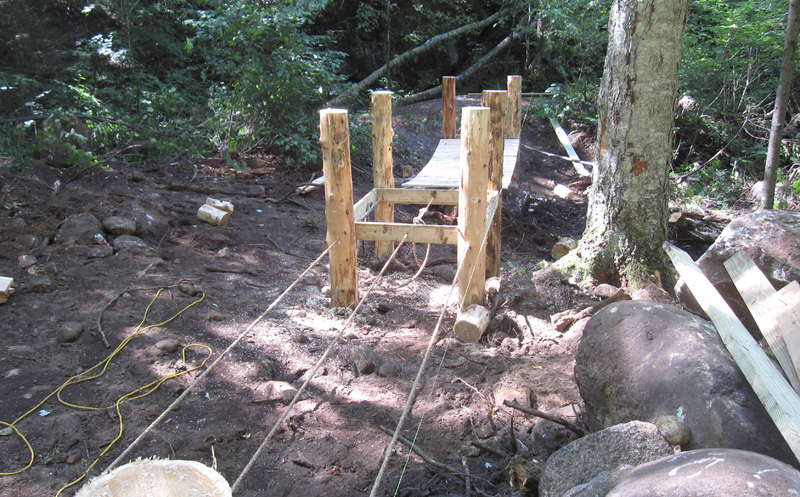 The nice young trail building professionals from the Adirondack Mountain Club who are responsible for the new trails are also building this adorable new suspension bridge. 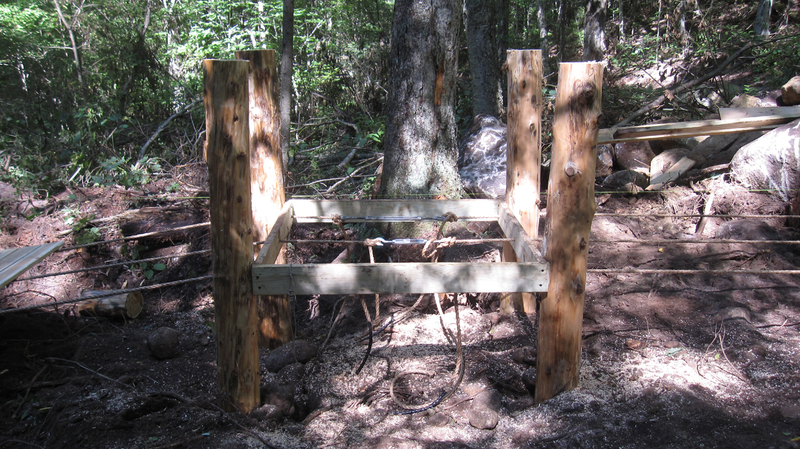 The beautifully maintained trails are multi-use, meaning you can use them to hike, run, mountain bike and ski. The main loop starts with a minor climb regardless of how you choose to start. You reach the high point right around a mile, after which you start a slight downhill. 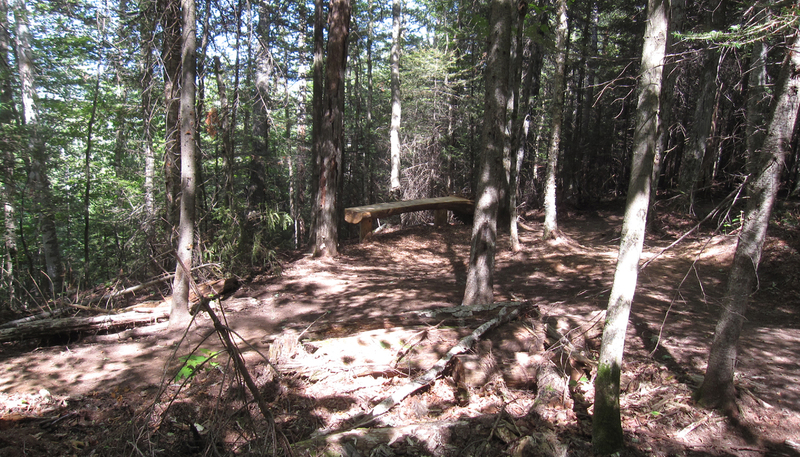 The newly cut trails are superb trail running; cushiony soil and well-placed rocks make it a thinking runner’s delight. This means you have to pay attention to where you put your feet, but it is well worth it as you can see in today’s photos. Olympic Ski Jumps and Bobsled Run (left to right) as seen from Henry's Woods. I was intrigued with the bridge building operation and since no one was around, I went in for a closer look. 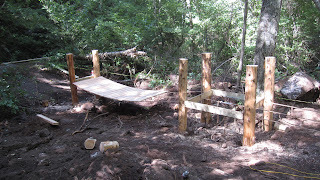 The partially built bridge section pictured below is suspended across two big ropes and creaks nicely when it sways. As you can see below, the savvy bridge engineers will use turnbuckles, secured under the stationary section of bridge, to tighten the suspending ropes. 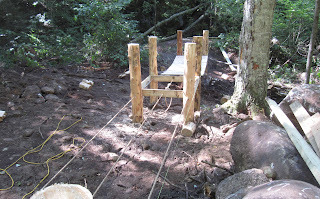 Obviously, the Adirondacks are a great place for outdoor recreation with a little engineering education on the side.